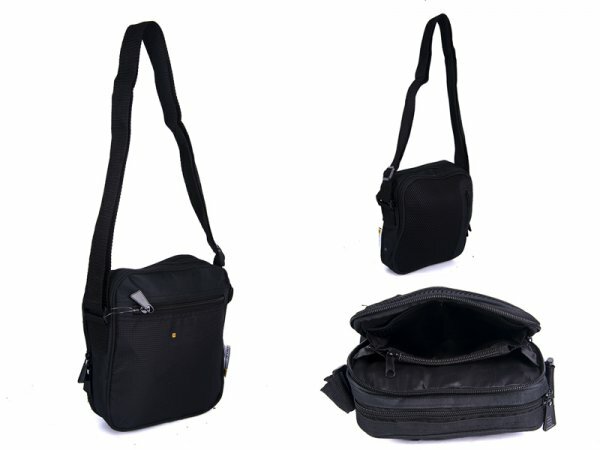 JCB cross body bag. The front has a zipped pocket with JCB print logo. The large main Is twin zipped for easy entry. On the rear is a fully open able pocket that has four pockets inside, one zipped, one mesh. To top it all off the rear also has a second zipped pocket. The strap is fully adjustable 71cm to 140 cm long approx.